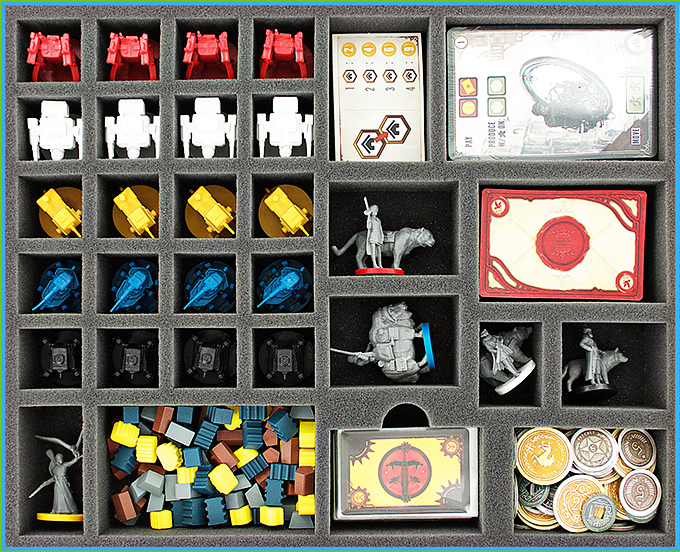 How to organize the miniatures and game equipment? All cut-outs are shaped for a specific part of the respective tabletop and boardgames. Maybe you wonder where you have to place which part because you are confused of so much compartments… therefore we have a solution! To support you by sorting in the game equipment we have a new download area on our blog. There you have several proposal sheets for the foams we produce for different games. So you know exactly where to place which figure, which tokens or which cards. If you miss a proposal sheet, don’t hesitate to ask us.